I`m interested in the item Ja klar! 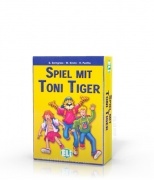 Spiel mit Toni Tiger and I would like to receive information about its availability. I`m interested in the item (Ja klar! Spiel mit Toni Tiger) - x1 and I would like to receive information about its availability.